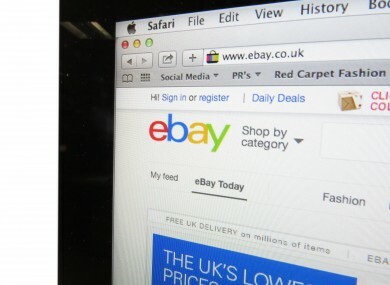 EBAY IS ASKING all of its users to change their passwords after a cyberattack compromised one of its databases, resulting in user information being stolen from the site. The database, which was compromised between late February and early March, included eBay customers’ names, encrypted password, email address, physical address, phone number and date of birth. However, the database did not contain financial information or other confidential personal information nor was there any evidence of unauthorised access or compromises to financial or credit card information. is currently investigating the situation with law enforcement and security experts. It said the hackers compromised a small number of employee log-in credentials, allowing them unauthorised access to eBay’s corporate network. Despite this, it has also recommended users who use the same password on other sites to change them as well. The company says that it will provide more details for users on both its PayPal Community blog and eBay blog within the next 24 hours. Email “Have an eBay account? You need to change your password right now”. Feedback on “Have an eBay account? You need to change your password right now”.